This 4 piece I love you hands set is great for best friends or family. As shown, it's cut from a half dollar coin. A gift that is made to be timeless. In the options you can choose your chain length and thickness. 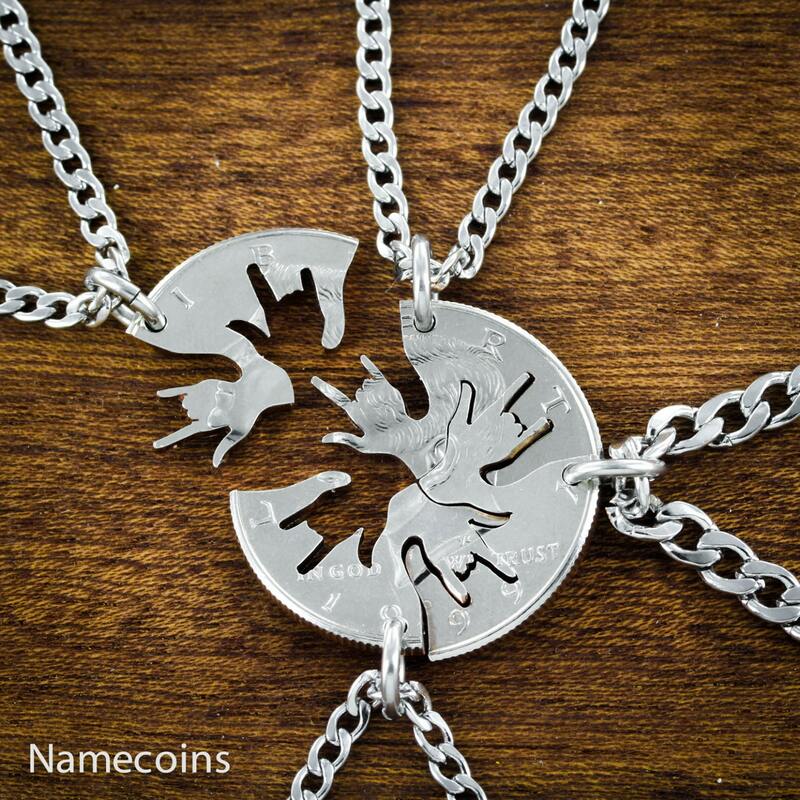 All our necklaces are high quality stainless steel. You can also choose key chains or black cords. Stunning, detailed piece. We absolutely love them! They came in on time and are great quality! I’m genuinely in love with this because you can’t find them anywhere. I gave them to my best friends at their graduation and they instantly put it on and exclaimed how much they loved it. After wearing it constantly for over a month, there are no signs of of ware either. 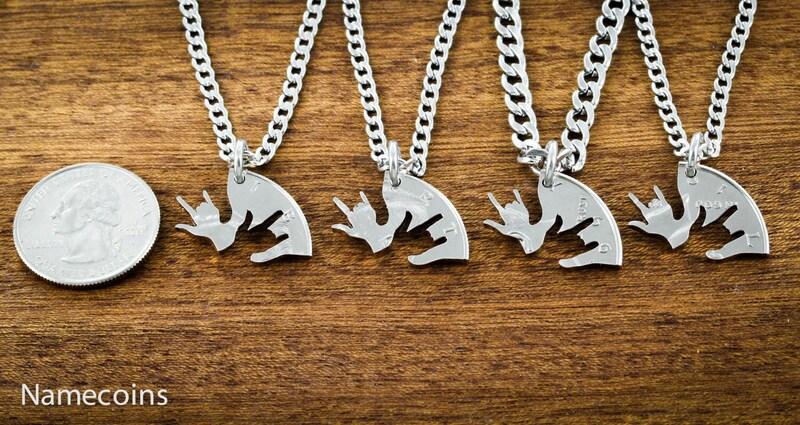 We absolutely loved these necklaces! My boys were all so excited to get theirs and have worn them every day since, only taking them off for bed and showers. Thank you so much for the rapid turnaround! I've already told many friends about your shop and some are planning to look for necklaces for their own families.